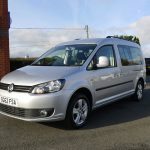 A Silver Caddy Maxi Life with a 1.6cc diesel engine and automatic gearbox combining economy with efficiency. 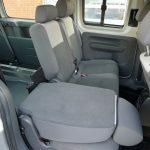 This wheelchair accessible vehicle has five seats that are adjustable plus an added feature of a ramp that doubles up as a floor! 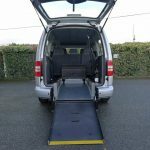 This Allied Mobility conversion offers the wheelchair user an easy to use ramp that is one piece and very lightweight plus a lowered floor creating the internal height required to travel around in comfort. 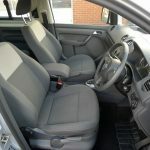 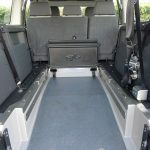 As can be seen from the photographs, the rear seats can all fold down providing the wheelchair user with a useful surface plus additional space should this be a preference. 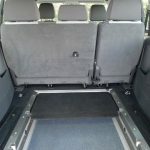 The wheelchair is, of course, securely fastened in the vehicle utilising the four point wheelchair restraint system (a demonstration of which can be viewed in the ‘Advice’ section above). 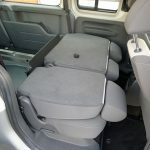 Drink holders are provided both in the front and the back – always useful to have. 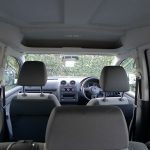 There is also a very handy overhead storage shelf in the front – great for placing items out of sight and for keeping the vehicle nice and tidy when travelling. 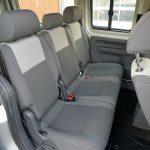 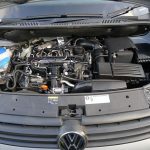 The driver can also adjust their driving seat to suit and the parking sensors at the rear of the Caddy help to gauge the distance available when parking up. 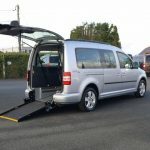 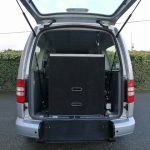 As mentioned above, the ramp can be stowed flat inside creating a floor/boot area should the vehicle be required at times without the wheelchair user in the back. 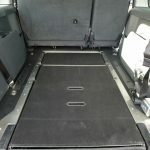 You will notice that an extra piece of flooring has been installed that sits behind the rear seats that can be lowered to complete a full boot – something different! 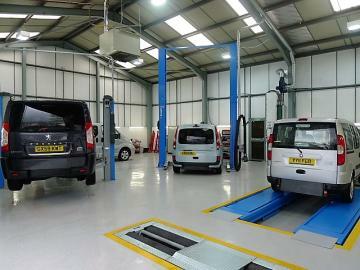 All of our quality cars are serviced, MOTd and valeted in our very own state-of-the-art Service Department and come with a 12 month warranty. 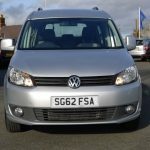 We deliver free of charge to UK Mainland addresses and all of our drivers will provide you with a full demonstration on how to use the wheelchair adaptations when they arrive. 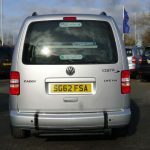 If you would like to know about this vehicle, please give us a call on 01824 707773 and speak to one of our experts who are always on hand.